There aren’t enough September’s in a guy’s life. It’s the best month of the year, by far. 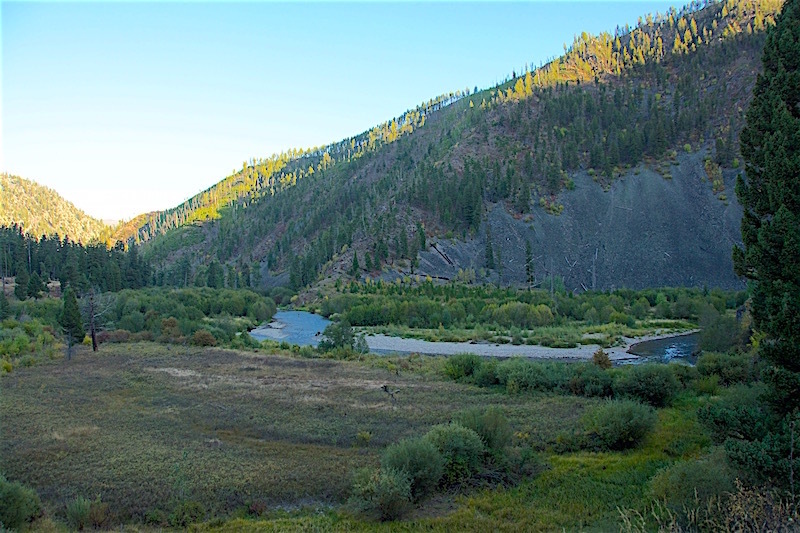 Bird seasons are open, archery for elk, too. Big bulls ripping up trees and barking at their cows. Call one in, feel your knees shake, knock an arrow and hope for the best. The fishing is great, too. Kids are back in school. The streams aren’t quite as crowded as they were during summer. The bugs are still there and the trout are as fat as they’ll be all year. And they know something—there is a certain chill in the air that says winter isn’t far away. They got to eat to survive and they’re eating well right now. At least on Rock Creek. Rock Creek is a beautiful stream with 60 miles of road mostly parcelling it. Find a spot away from the road and you’ll find plenty of fish. 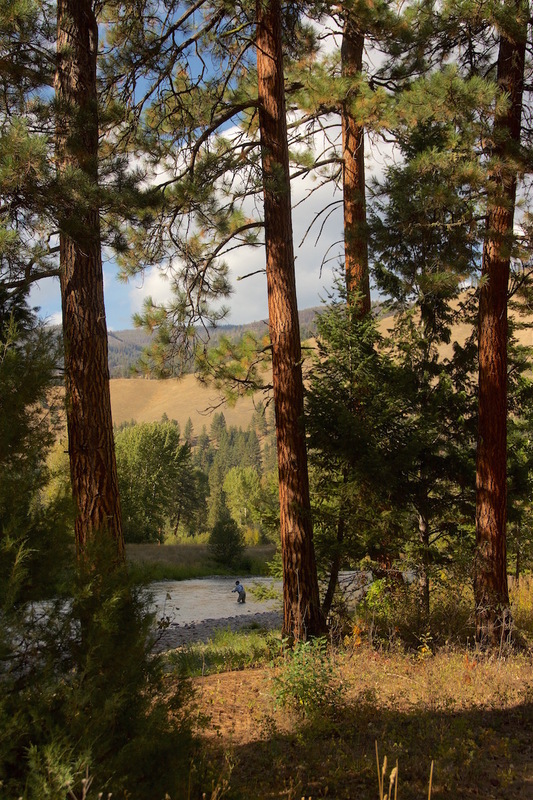 Western Montana’s Rock Creek is an easy 25 minute drive from Missoula. Then it’s up to 60 miles on a nasty road, if you choose to go all the way through. You don’t have to. There are great pools all along the river and you’ll find fish throughout. Rainbows. Cutthroats. Browns. And a few bulls. Whitefish, too. Fish are taking dries into the early evening. Don’t be afraid to stay until last light. These Indian summer days won’t last forever. Beatis are coming off right now and I’m seeing the first big fall caddis fluttering around. Look for the best bug activity in the afternoon hours, say two to four p.m. You can get to the water earlier, meaning any time between 9 and noon, but you don’t have to. No matter when you arrive, stick it out to the end. You can pick up fish almost till dark. What do you get. 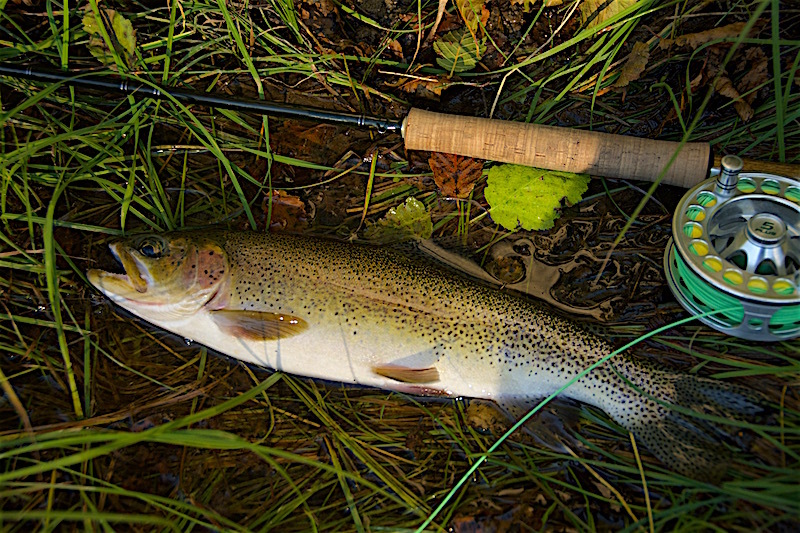 This fall seems better than most with some of the trout stretching to 15 inches or more. That’s good for Rock Creek. When local anglers think Rock Creek they usually say 10 to 12 inches on average. That’s accurate but things seem a little different this year. I’ve been up a few times in the past couple weeks and it’s always a good deal. Last week I took my father up the creek and fished a couple runs. We caught a few fish, missed many others, and saw our token moose on the hike out. If you want to see moose, go to Rock Creek and spend some time looking around. One time I was fishing a brushy bank on the creek and looked upstream and saw the head of a bull moose sticking out of the brush, 15 yards away, looking at me. I moved out, mas rapido, but Mr. Moose just watched. Probably laughed. 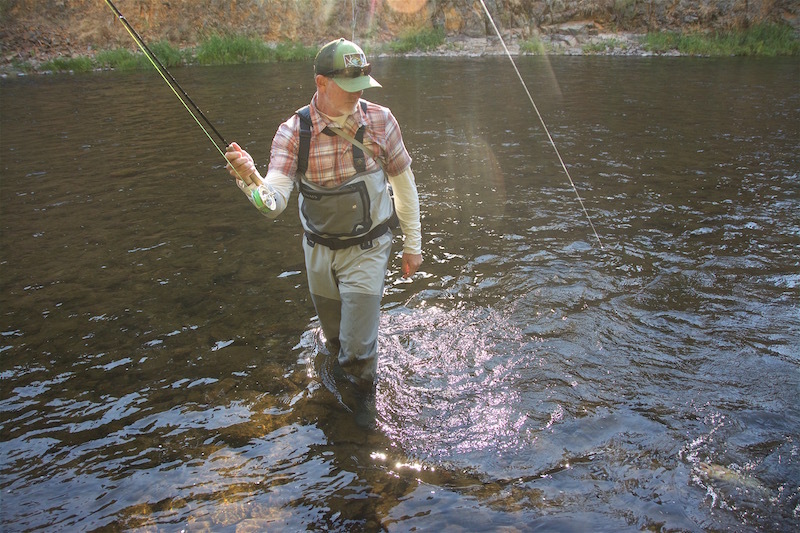 You’ll catch rainbows, cutts and browns on Rock Creek. This is a better than average fish from this medium size stream. Know that larger ones are around, especially with brown trout moving out of the Clark Fork River and into the creek. Hope the shots got you fired up to fish. You don’t have to hit Rock Creek because all the area waters are fishing well right now, but it’s not a bad place to spend a day casting dries for eager fish that aren’t too big, but they’re not too small either. Have fun. 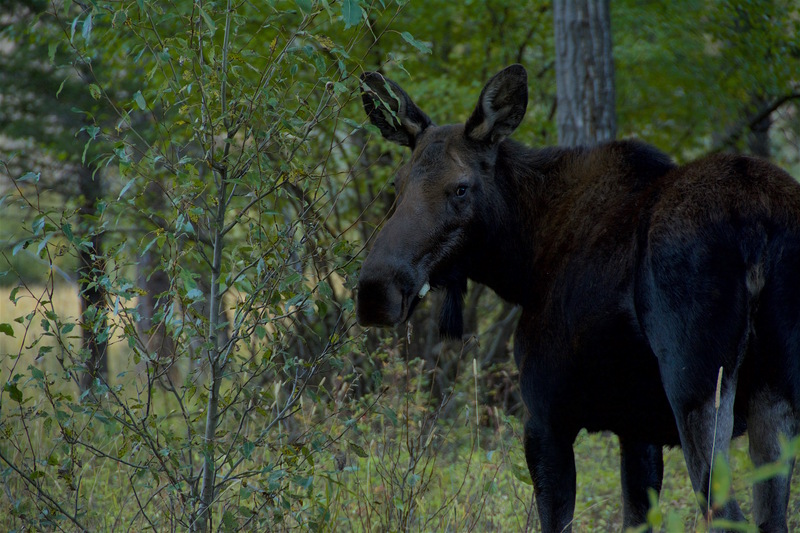 Bull moose have antlers, but these are the ones you have to look out for. Cows with calves can be dangerous. Fortunately, these moose are pretty used to anglers—Rock Creek gets pounded, although there are fewer anglers on the water as fall progresses. This entry was posted in Montana, Uncategorized and tagged native cutthroats, Rock Creek Montana. Bookmark the permalink. Rock Creek was one of the places I fished in Montana on my first trip there. It was snowing here and there, but my friend and I were determined to catch a brown to round out a “grand slam.” I use the quotes because we substituted kokanee for brook trout. But it was an amazing river, didn’t see another soul. But lots of bighorn sheep!